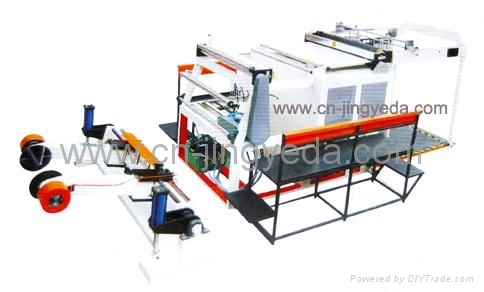 CFJ-2 Semi Automatic Web Paper Cutting Machine is a transverse paper cutting machine with a cutting knife. 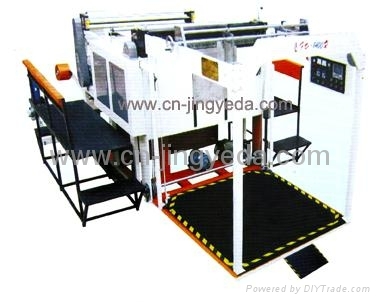 It is widely used to cut web rolls of plain rainbow board, grey board and other paper rolls. Man-machine interface (MMI) operation. Central computer control and synchronization. 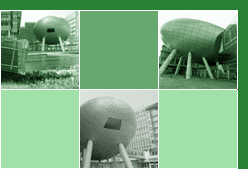 It has the advantages of hi accuracy cutting, hi speed, easy loading, tidy piling up, etc. To reduce your cost, the belt conveyer unit behind deep pile is cancelled.